For up to 12 months after installation, the 3M Aqua-Pure AP811-2 whole house water filter replacement cartridge will reduce sediment and rust before it has a chance to ruin the taste of your drinking water! For use with 3M Aqua-Pure whole house water filtration systems that use 20-inch x 4-1/2 inch water filters. 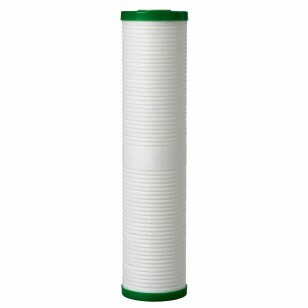 Order the 3M Aqua-Pure AP811-2 whole house water filter replacement cartridge online today. Provides up to one full year of clean drinking water!